When it comes to investment banking in Zurich, the city hardly needs an introduction. While some might argue that the city is less glamorous than New York and London, it is undoubtedly one of the top destinations in the world if one considers not only an investment banking career, but a career in finance in general. 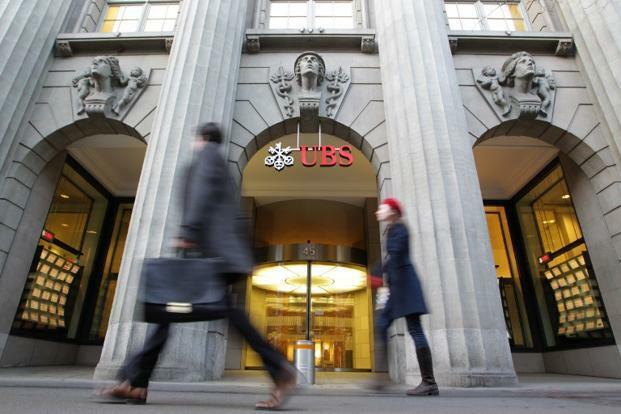 Only the mere mention of the names UBS and Credit Suisse is enough for some prospective investment bankers to start packing their bags for Switzerland. And those bulge bracket behemoths are not even the only thing that the city has to offer. Having briefly served as Switzerland’s federal capital in the 19th century, Zurich nowadays is one of the most important financial centers not only in the country and in Europe, but in the world as well. The city has benefited alongside Geneva from Swiss banking secrecy laws and has long served as a sanctuary of wealth. Switzerland’s stable economy and its geographic position in the heart of Europe have also contributed to Zurich’s rise as a preferred location not only for banks, but for various financial institutions. Nowadays, about one third of all the 330 or so banks in Switzerland have their headquarters in the city or in the canton of Zurich, with Credit Suisse and UBS being the most renowned examples. UBS traces its history back to 1862, while Credit Suisse was founded even earlier, in 1856. The headquarters of both banks are located on Paradeplatz, a square in downtown Zurich, which has become synonymous with wealth and the Swiss banks, much like New York’s Wall Street. Further cementing Zurich’s importance as a financial centre is the Swiss Stock Exchange, known as SIX Stock Exchange which is among the largest stock exchanges in Europe in terms of market capitalization, and also runs the index provider STOXX. When it comes to investment banking jobs in Zurich, UBS and Credit Suisse are usually the most popular choices. As is the case with kicking off your investment banking career anywhere, you can get to one of the Zurich-based bulge bracket firms by starting out as an intern, which is also an excellent option to see how you would like living in Switzerland. UBS for instance offers various pre-internship opportunities, internships and graduate training programs, designed as a springboard for students and graduates who show promise. The situation is similar at Credit Suisse whose internship program can also help you get your foot in through the door. If you’re considering a banking career in Zurich, the local heavyweights are hardly the only thing the city has to offer. Major financial institutions with local branches include Europe’s BNP Paribas, Credit Agricole and Societe Generale, as well as American majors such as Morgan Stanley, Goldman Sachs and JPMorgan. And it is no wonder that international banks have established offices in Zurich; according to the Ernst & Young’s most recent report, the Swiss M&A market alone recorded 154 transactions in the second quarter of 2014, up 21 percent as compared with the previous quarter, and marking a ten percent increase year-on-year. While Zurich might be renowned as an investment banking destination, it is not merely a banking hub but a centre for various financial institutions, including asset management and insurance companies, as well private equity, hedge funds and venture capital providers. As noted on the website of the Zurich Financial Centre, Switzerland alone has approximately 2,600 firms specializing in asset management as well as more than 600 fund management companies, representatives, and distributors for investment funds, with almost 40 percent of them operating with the centre. The Zurich Financial Centre also reports that at the end of 2012, about 7,500 funds were authorized for public distribution in Switzerland, including 1,400 entities under Swiss law, and the rest operating under foreign law. Getting a job at a big financial institution in Zurich implies having the financial education, qualifications and the financial modeling skills necessary to succeed elsewhere, as well as going through the usual investment banking application and interview processes. And another thing: while German might not be a requirement if you are eyeing a job at an international investment bank with a branch in Zurich, it might be essential for landing a position at a smaller local company. Still, the efforts (including the nightmare that is German grammar) are worth it: while it might be less glamorous, in terms of investment banking career options, Zurich’s Paradeplatz is every bit as good as Wall Street or London’s City.